(41z) - 2 cigar boxes(wooden) in good condition. Pelican Habana, Benson & Hedges both with working closures, comes with a vintage pack of 29 round wooden clothes pins. 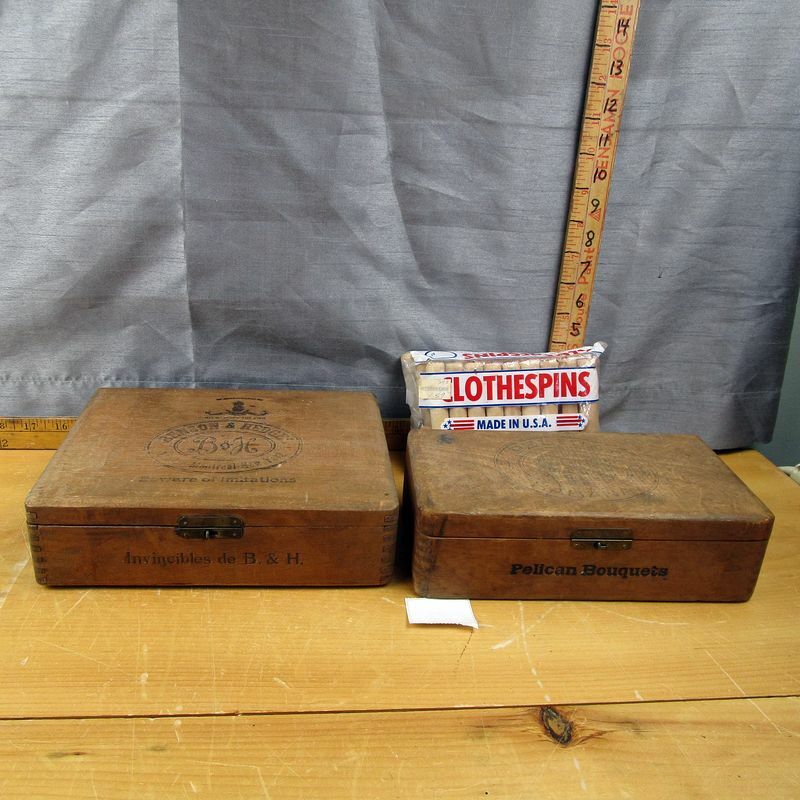 **Lot Details: (41z) - 2 cigar boxes(wooden) in good condition. Pelican Habana, Benson & Hedges both with working closures, comes with a vintage pack of 29 round wooden clothes pins.